It has been quite a very long time since I lasted visited a decent Chinese vegetarian restaurant. Not that I am a big meat eater, actually, quite the contrary, I prefer to eat vegetables most of the time if I don’t have to worry about not consuming enough protein and iron. I know that there are plenty of protein in beans, and food such as the black fungus contain enormous amount of iron, but I still feel that I need an occasion dose of fish, pork, and other meats in order to feel somewhat balanced and that sensation of fullness. However, I was very much looking forward to eating at the Vege Paradise. I had gone there a few years back, and I remembered the place to be very clean, pleasant, and that the food was quite exceptional. To my delight, the restaurant did not disappoint this time around. We sat at a large, comfortable booth, and once again, I was rather impressed by how comfortable the place feel. I proceeded to order the Pumpkin Bisque Puff Pastry, King Oyster Mushroom and Yam w/Basil, Pumpkin with Soft tofu Hot Pot, Vegetarian Chow Mein. The lunch special came with either steam rice or porridge w/pumpkin, and Hot and Sour Soup. 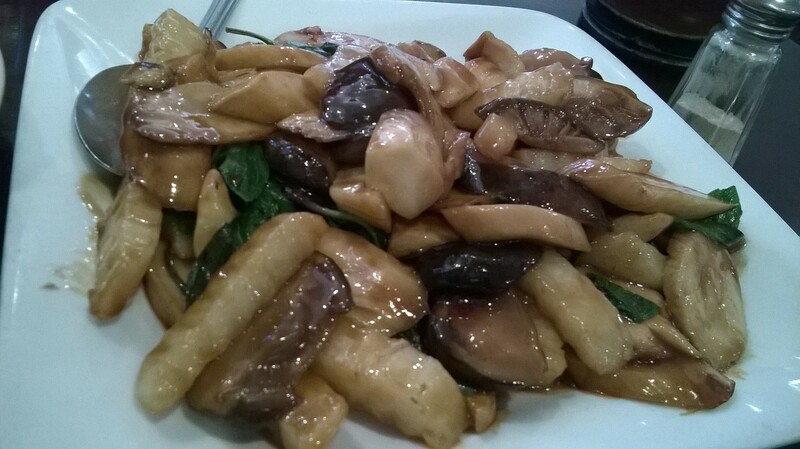 The Chinese yam stripes were lightly fried, crunchy and delicious, and the oyster mushrooms were smooth and soft. 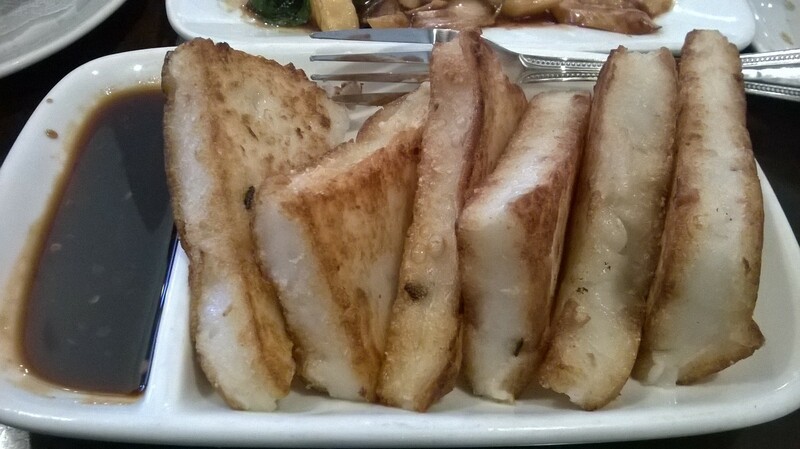 The pumpkin in the hot pot was slightly sweet and thinly sliced, but the tofu was actually the brown fried type, not the white soft tofu that I was expecting. 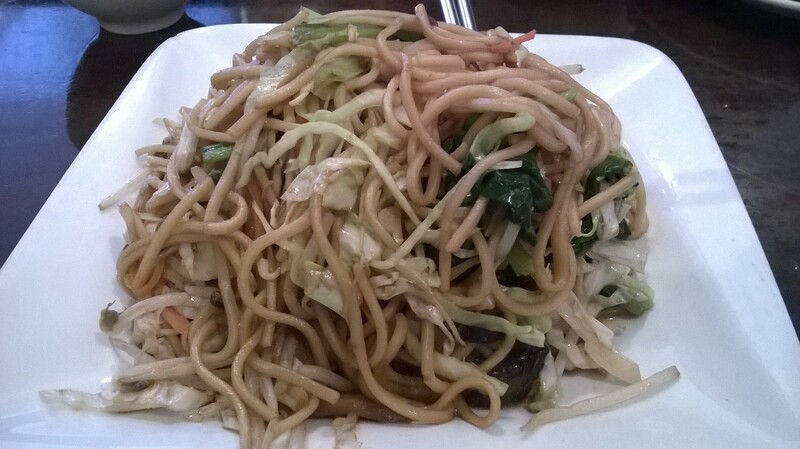 The fried noodles here were very different from all the ones I tried in other restaurants. The noodles themselves seemed less sticky and firmer, and the vegetables were finely julienned so the whole plate looked more uniform and refined. The Pumpkin Bisque took a while to arrive (I was warned that it would take at least 15 minutes), but it was worth the wait. 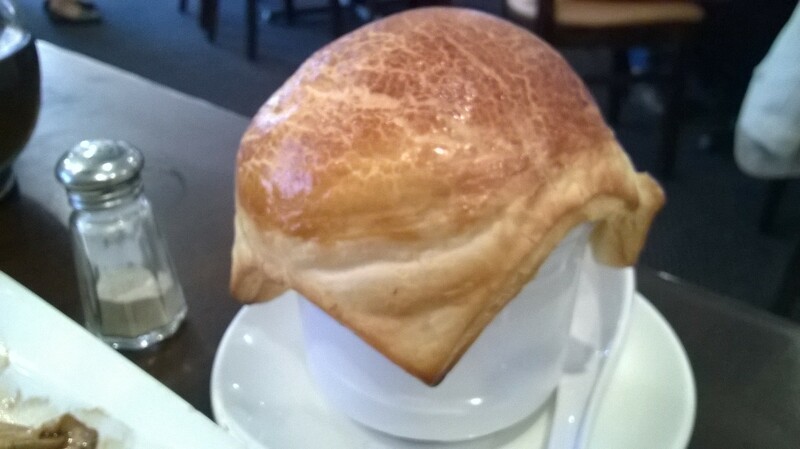 The pastry was soft and flaky, while the bisque was rich and not overly sweet. Being that I was still hungry, I added an order of Sauteed Turnip Patties. This was perhaps the best dish of all. The patties were very slightly browned, with a crust that was wonderfully crispy and a center that was perfectly moist and delicious. I practically ate most of them by myself. I had wanted to try their dessert but I was full and satisfied already, so I am already planning my next visit so that I can try their Eight Treasure Taro.